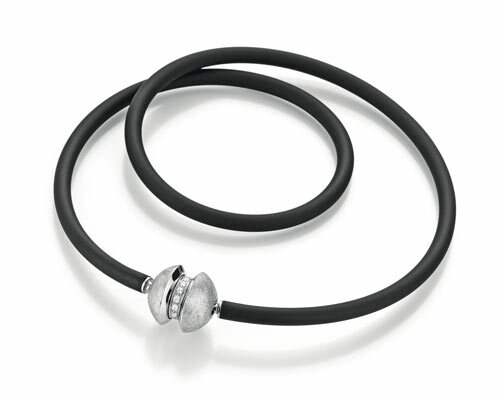 A necklace can easily be transformed by the interchangeable clasp-system of Jörg Heinz. The clasp mechanism is nearly invisibly hidden into the piece of jewellery. So the clasp is getting to an eyecatcher of the necklace. By the number of various possibilities to interchange clasps and necklaces, the wearer can alter her look steadily, adapting her personal style for any kind of fashion or any occasion. True to the motto: always different, but always me! The new Mystery Sphere conceals a precious secret. Like a ripe fruit, each of these enigmatic spheres has a tempting outer skin and a luscious interior. With a quiet “click,” you can transform your Mystery Sphere and surround yourself with a different aura. Sensual pearls or sparkling diamonds, gleaming gold or luminous coloured gemstones, midnight-black onyx or a seductive starry sky transport you into ever-new spheres. Experience the magic of sensual transformations with the Mystery Sphere Collection from Jörg Heinz – and keep your secret! Janus or also known as Ianus, is the Roman god of two faces. God of all origins, the beginning and the end, the entrances and exits, the doors and gates. He is the guardian of the gates of heaven, the moving force of the hinges of the universe, the unlocking and locking of the sky, the clouds, the land and the sea. He is regarded as the inventor of agriculture and civil laws and acted as a mediator between humans and gods. As well as mythical Janus, the clasps of the same name from the Mystery Sphere series are also not „unilaterally” in their appearance. Also, they open and close simultaneously and reveal new impressions and secrets. They are true quick-change artists with precious intrinsic values. Contrasts united in perfect harmony. Mysteriously convertible and technically ingenious. Flowing lines and soft contours – feminine and graceful. This is reflected by the new rings of the Mystery Collection that keep – like the same named convertible clasps – two precious secrets in their inside. A passionate interplay of revelation and metamorphosis. 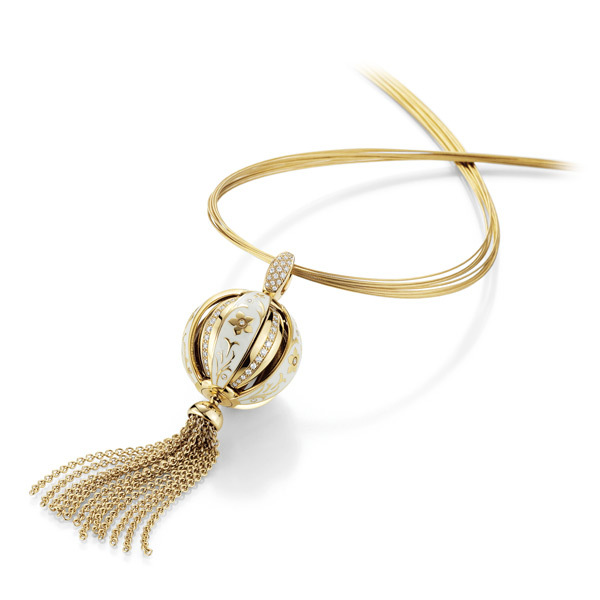 The tempting outer shell of the Magic Pendant disguises as the mystery of a woman a precious interior. 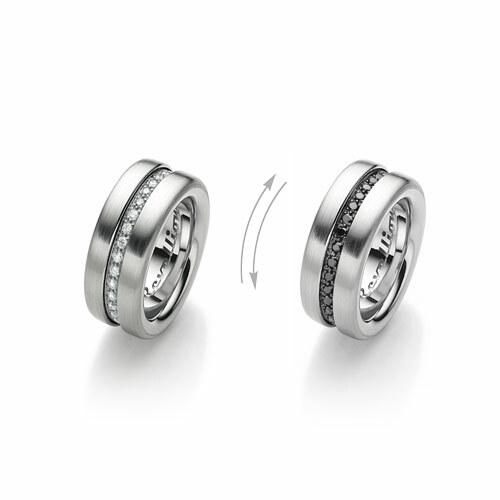 By a soft turn the Magic Pendant transforms and shows his unique sides. The sphere inside reveals three different secrets. 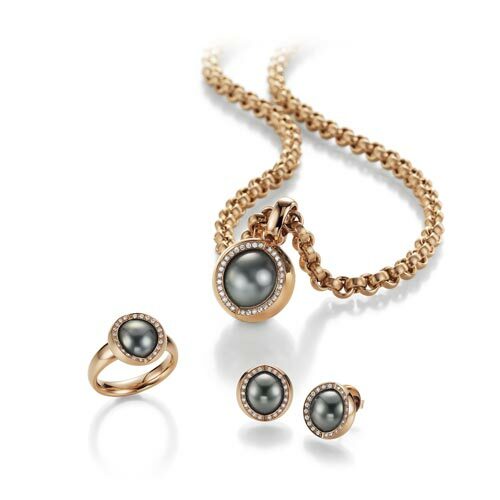 Sensual shimmering South Sea and Tahitian pearls, sparkling diamond starry skies and radiant diamond solitaires, deep black onyx or wonderfully shining cold enamel individually appear. 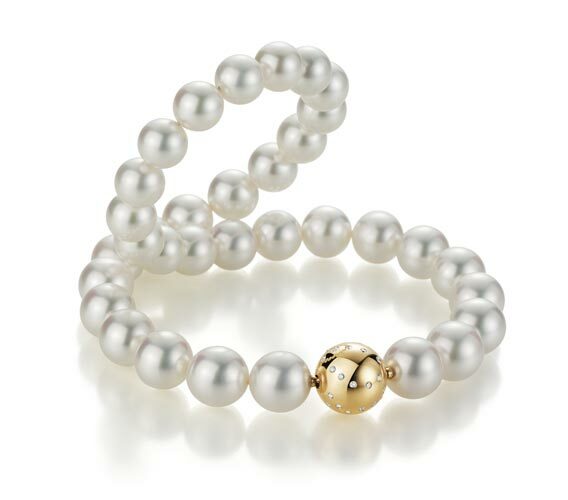 Fashionably on a long chain or classically on a pearl necklace – the self-conscious woman wears jewellery as a reflection of her personality. Discrete luxury with the motto “always different – but always me”. Seductive playful and wonderfully changeable. Sensual revelation of inner values and guardians of all personal secrets. 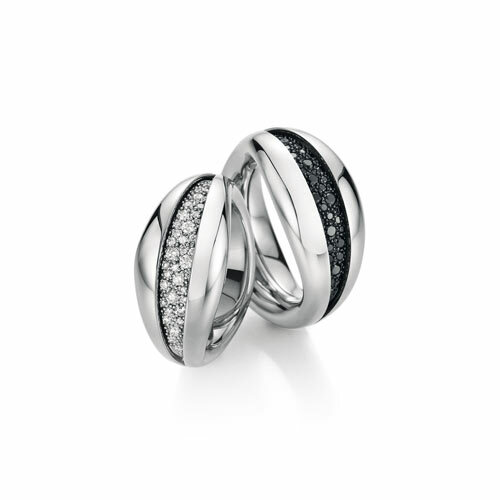 Companion – an extraordinary collection of exclusive jewellery designs. By softly turning the loop, the outer shell of the pendant opens and closes like a fan and reveals its precious secret. This collection is evident in many imaginative facets. Whether nightingale in the Garden of Eden – floral design in soft cream-coloured enamel. The cockatoo – surrounded by a colourful diamond shell or the polar bear – into a sparkling diamond cage. The unveiling of unique phantasie worlds without any limit. Urban safari – a diamond pavé in leopard look of white and champagne coloured diamonds in combination with embossed calf leather as the epitome of natural beauty. Uniquely changeable and versatilely individual. 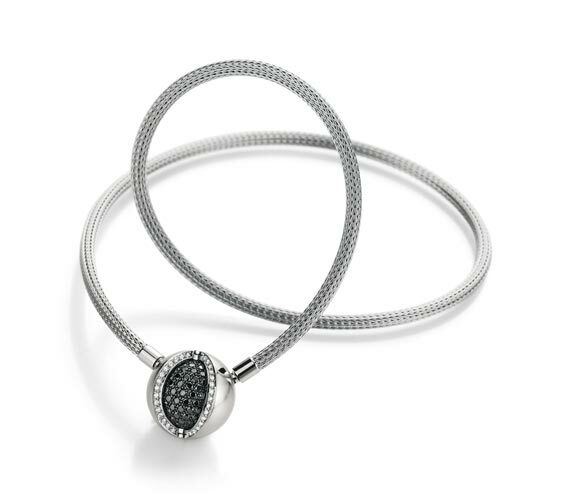 As rivals the inner facets court for the favour of its wearer. Alternately veiled and revealed – sparkling brilliants and gleaming gold or platinum, each have their individual performance. A play of demureness and glamour – an either/ or choice that is never decided. A soft ‘click’ signals the decision and has the power to overthrow it in the next moment again. The liberty to choose, the luxury of freedom. Perfection by transformation and exciting moments through contrasts.